Back over accidents are responsible for more than 200 deaths and 12,000 injuries each year. The US Congress passed a law in 2008 that would enact measures to use technology to prevent accidents like these. 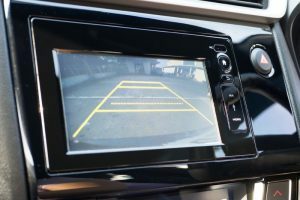 After years of delays, the US Department of Transportation finally announced that new cars must come with a backup camera. But what if you own or have recently purchased an older vehicle? 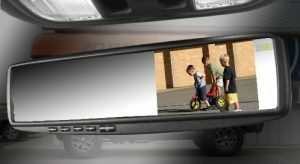 Can you add a backup camera to an older car, truck or SUV? You most certainly can! 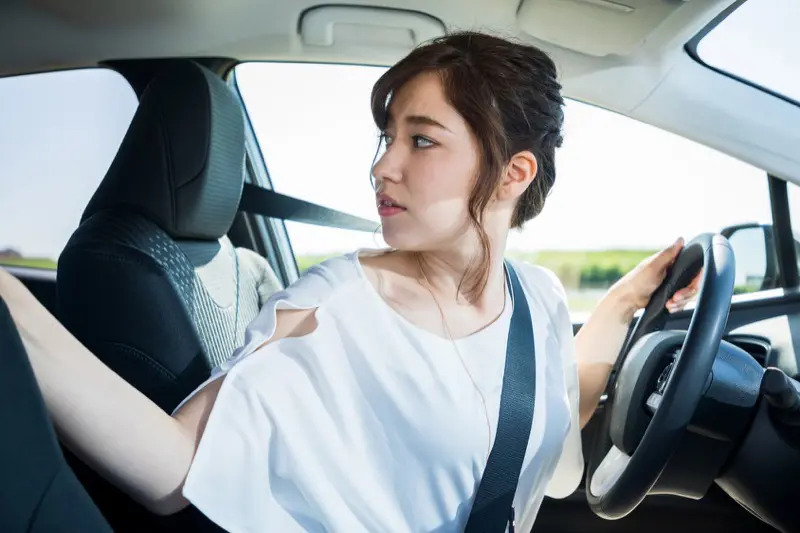 In this article, we’ll explain how several different accident prevention and safety systems can make parking and maneuvering your vehicle safer. 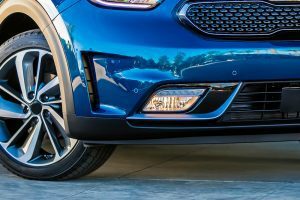 What is a Backup Camera System? 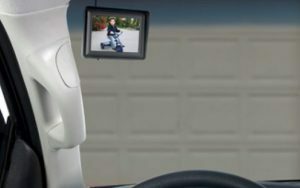 In the simplest of terms, a backup camera system includes a video screen within view of the driver that displays an image of the area behind the vehicle when the transmission is in reverse. The camera on the back of the vehicle will be mounted in a location that lets the driver detect objects or people that are normally blocked by the trunk or hatch. In essence, a backup camera system is like having a spotter behind your vehicle telling you if there is anything in your way. All backup camera systems that have been integrated into the vehicle properly function without any input from the driver. The wiring in the car provides a signal to the camera system as soon as the transmission selector is put into reverse. There are no switches or buttons to press. The image displayed on the screen mimics that of your rear-view mirror regarding left-right orientation. When looking at the screen, objects on the right of the screen are the right side of the vehicle and vice versa. As we are used to this perspective, it makes using a rear vision camera system much safer. Most factory-installed cameras are mounted above the license plate on a car or in the handle or tailgate emblem of a truck. Aftermarket camera solutions are available to mimic these installation locations. 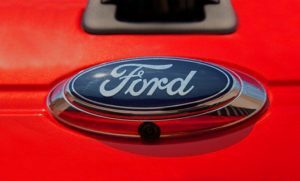 Many vehicles like the Mercedes Sprinter, Ford F-150 and GMC Silverado and Chevy Sierra have aftermarket solutions that look identical to factory offerings. The cameras are water resistant and carry an IP66 (or higher) dust and water intrusion rating. This IP rating means that the cameras can withstand going through the car wash or exposure to the everyday challenges Mother Nature throws their way. Universal cameras are available in surface and flush mount applications. Your mobile enhancement retailer can help you choose the right style for your application. Just as when you go shopping for a video or still camera, lens and image sensor quality play a significant role in determining the quality of the image you will see. Inexpensive cameras from the local auto parts or big box store may not respond quickly to changes in image brightness and often can’t handle high-contrast situations. Higher quality cameras offer more resolution to help you see small or narrow objects behind your vehicle. There are four popular options available to display the camera image inside your vehicle. As we mentioned, all of these displays operate automatically without the need for any input from the driver. If your car or truck came with a color display for the factory radio or infotainment system, there are many companies that offer premium integration modules that allow the image from the backup camera to be displayed on this screen. Using a factory screen is the most integrated of solutions and truly mimics a factory-installed system. Many interfaces have additional camera inputs for forward-facing and blind spot monitoring camera options. Talk to your retailer to find out what is available for your application. If your vehicle doesn’t have a color screen, another popular option to display a camera image is a replacement rearview mirror that features an integrated color display. When the camera is not in use, the mirror looks normal and will show you what is happening behind your vehicle. When you put the transmission in reverse, a compact LCD screen shines through the mirrored surface to display the camera image. While typically small in size (around 4 inches diagonally), they work very well and are quite popular. A popular upgrade for older vehicles is to replace the radio with an aftermarket unit that includes a color display. 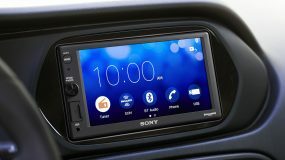 You can choose from simple AM/FM multimedia receivers costing only a few hundred dollars up to state-of-the-art systems with integrated navigation, Apple CarPlay and Android Auto smartphone integration and even vehicle integration and control options. 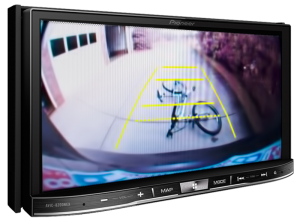 These systems typically include at least one camera input to show what is behind your vehicle. Some will overlay information from factory-installed parking sensor systems for increased safety. If none of the above options suit your application or you require a larger screen, then consider having a stand-alone monitor installed in your vehicle. Commercial applications such as tow trucks, snow plows, garbage trucks, recycling trucks and delivery vehicles often choose a stand-alone monitor. The image is large, and the unit can be placed in a convenient location. As we mentioned, the addition of a forward-facing camera is another popular option for large vehicles like 1-ton trucks where it is difficult to see curbs or even other vehicles over the large hood. In most applications, a button or switch would activate this forward-facing camera for parking purposes. These cameras are also great for making sure these large vehicles are parked as close as possible to the wall in a parking garage to reduce how far they stick out into traffic. Many luxury vehicles combine a parking sensor system with a backup camera. The advantage of adding parking sensors is that they are an active safety device. You don’t need to remember to pay attention to them – they alert you to the presence of an object. Parking sensor systems can be installed in most cars, trucks and SUVs. 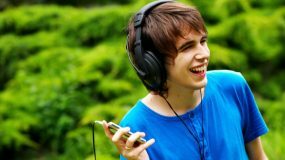 Many solutions include options for forward-facing sensors. 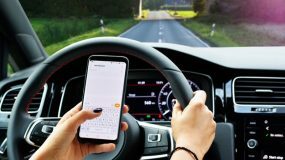 If you’ve ever had a close call, or simply want to avoid the risk of damage to your vehicle or injury to a bystander, visit your local mobile enhancement retailer today. You’ll be able find out what options are available to add a backup camera system to your new or used vehicle.